You've seen the new trend, I know you have. Lists. Lists of everything. 25 things to eat before you die. 15 things to buy a grandma. 5 funniest quotes of all time. And so forth. Sometimes these are hilarious, sometimes annoying. Sometimes a little troubling. 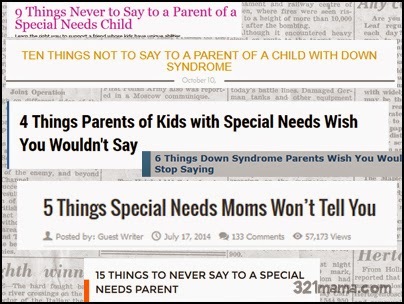 When I first started seeing the special needs lists, I was like "Yeah! You tell 'em!" But then...it got overwhelming. I was seeing new lists almost daily. My friends sent them to me, family tagged me. And I started to think, what if my friends and family are reading all of these and trying desperately to remember them? What if they're tiptoeing on eggshells trying not to break a rule or hurt my feelings? I think the lists are good, in general. If it makes a few people more aware, or changes a couple of minds about our kids, then that's a great thing. But all of my friends and family are well-meaning people who support us. What do they think of all of these lists? What would I think if I were in their shoes? Oh poo. That's what I'd think. I'd think people shouldn't be so sensitive. I'd think that as long as I treated their kid the same as all the other kids, then saying a phrase the wrong way shouldn't be a big deal. And so, I'm letting you off the hook, officially. 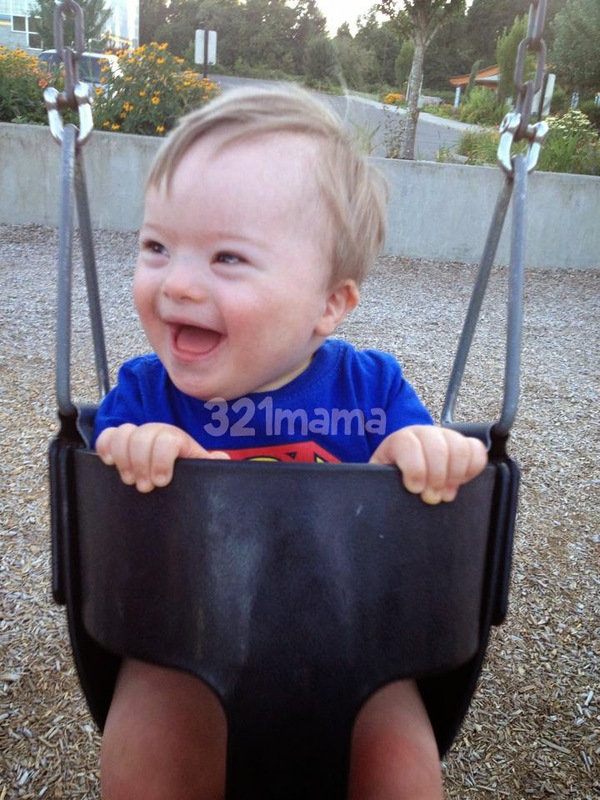 I don't care if you call Cade a Down syndrome baby or if you tell me that "they're always so sweet." All my kids are sweet. 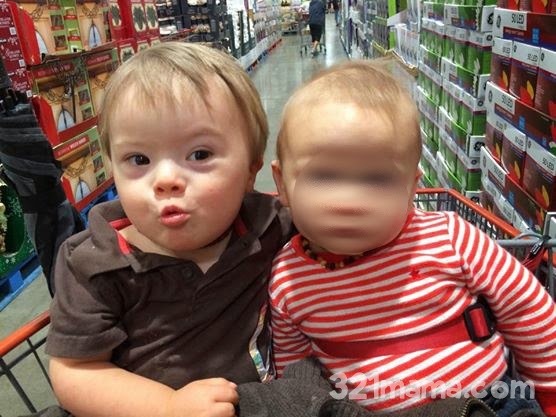 And frankly, sometimes Down syndrome baby is a lot faster to say than the correct baby with Down syndrome. As long as you're not an insensitive jerk, then I'm cool. I just have one request. Can you remember one thing? That's it. Just love him. Love our kid. Love us. Love us by loving our son. It was 2 years ago today that I took a little blood test called MaterniT21. 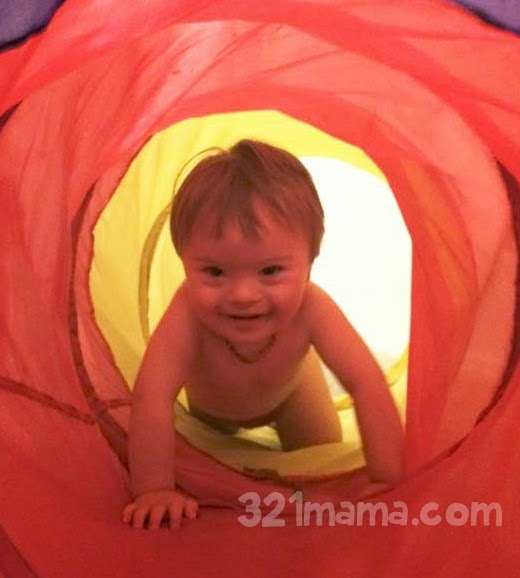 We'd already been given high odds that our child, our son, would be born with Down syndrome. This test, non-invasive screening, would help confirm or refute the odds. Since then, we've come a long way. You already know that Cade does indeed have Down syndrome. 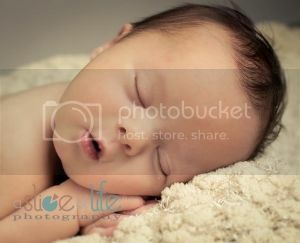 And you probably already know that it's not a big deal...Cade's amazing and growing and adorable and mischievous. Today's post is to say Thank You. Thank you for never saying "I'm sorry." Thank you for hugging us and telling us it would all be okay. Thank you for loving, for really loving, our son. Thank you for rejoicing at his birth. Thank you for never asking "Is he walking yet?" or showing surprise that he isn't. Thank you for telling us he's adorable. Thank you for visiting us in the hospital, or congratulating us on Facebook. Thank you for being excited with us at every milestone. Thank you for everything over the past two years.